NBC’s Thanksgiving Day special, “The National Dog Show Presented by Purina®,” will crown one of America’s great purebreds as its 2018 champion on Thanksgiving Day, bringing canine competition and family entertainment to America’s viewers for the 17th year. The holiday special (noon-2 p.m. in all time zones) follows the Macy’s Thanksgiving Day Parade® on NBC and is watched annually by a total of more than 20 million viewers. Some 2,000 dogs vie for Best in Show honors in the tradition-rich Kennel Club of Philadelphia competition. An encore presentation airs on NBC in primetime on Saturday, November 24, from 8-10 p.m. ET. The TV special is a celebration of man’s best friend, hosted by prominent TV personality and Broadway star John O’Hurley and expert analyst David Frei, America’s foremost expert on all things canine. They have been together since the launch of the popular holiday special in 2002. Mary Carillo will report from the backstage benching area as the dogs prepare to compete and former Olympic figure skaters Johnny Weir and Tara Lipinski will lend their distinctive presence as digital contributors. The show’s popularity is a tribute to the dogs in our lives and its time slot following the Macy’s Parade from noon-2 p.m.in all time zones, before football viewing takes over the day. The show was an immediate hit when it debuted in 2002 and it has delivered its biggest audiences these past two years, a total of over 22 million viewers for each telecast. 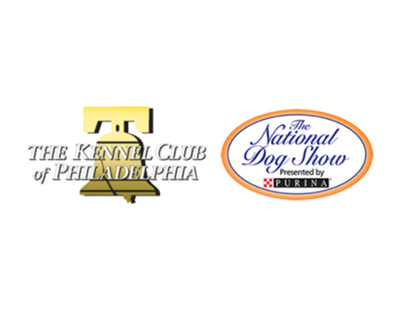 The National Dog Show Presented by Purina will be featured in different digital formats including a live stream of NBC’s Thanksgiving Day telecast in high definition via NBC Sports online at NBCSports.com/Live, or through the NBC Sports app, which is available on the iTunes App Store, Google Play, Windows Store, Roku Channel Store, Apple TV and Amazon Fire. NBC’s digital coverage will also include, on-demand coverage of all seven groups plus “Best in Show.” In addition, NBCSports.com will also spotlight video of the judging of over 190 breeds from the National Dog Show with specific breed commentary by Wayne Ferguson, the President of The Kennel Club of Philadelphia. In celebration of Thanksgiving and the National Dog Show, Purina is inviting pet owners across the country to share what makes their pet the best, using #DogThanking and tag @Purina. Until Nov. 25, for every unique post shared on Facebook, Twitter or Instagram that includes @purina and #dogthanking, Purina will donate $1 (up to $25,000) to Tony La Russa’s Animal Rescue Foundation. The organization works to match veterans with emotional support animals – transforming rescue dogs into skilled service animals for veterans with PTSD, traumatic brain injuries, anxiety, severe depression and more through the Pets and Vets Program. Posted by chesliepickett on Nov 21 2018. Filed under Featured, The Buzz. You can follow any responses to this entry through the RSS 2.0. Both comments and pings are currently closed.